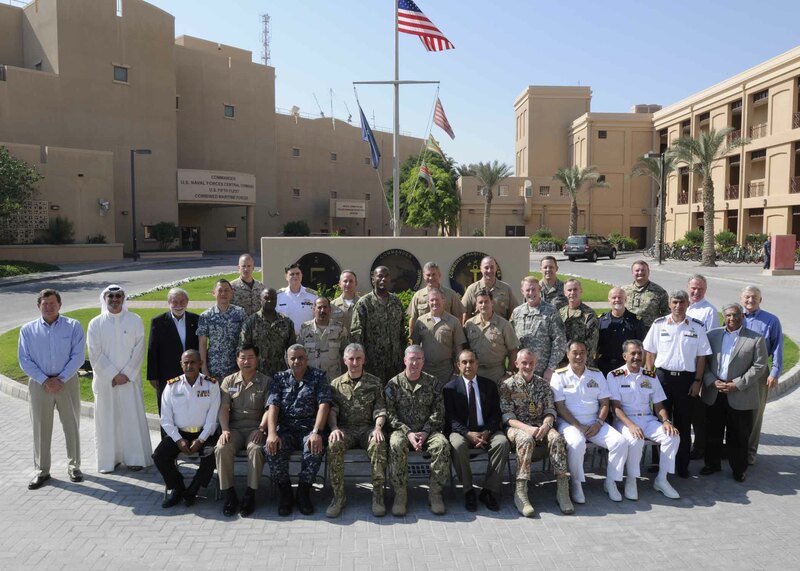 Twenty six senior maritime Commanders from 15 nations have gathered at the Combined Maritime Forces Headquarters in Bahrain for the Combined Force Maritime Component Commander (CFMCC) Flag Course which focuses on maritime security issues and regional challenges. The CFMCC Flag Course provides executive-level attendees with the background and perspective to integrate unique maritime capabilities effectively and efficiently within a combined force. In addition to international Naval attendees, US attendees represented each of the military services, including the US Coast Guard.